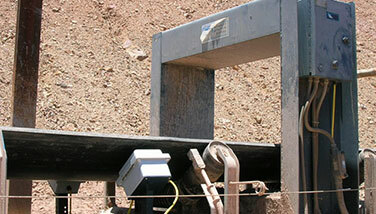 Advanced Detection Systems is a robust and reliable leader in providing metal detection systems for many industries. Advanced Detection Systems is based in historic Milwaukee, Wisconsin. For more than 30 years, Advanced Detection Systems have been robust metal detection experts in providing metal detection systems in the food processing and packaging industries as well as aggregate, mining and recycling applications. With engineering, manufacturing and sales all located in our Milwaukee, Wisconsin facility, we are able to quickly respond to our customer's requests to design and build a system for your specific application without sacrificing lead time or quality. Advanced Detection Systems is constantly striving to improve performance, with many unique features. Below are the products we offer and can be customized to fit your specific needs. ProScan™ Max II State of the art metal detector offering optimum sensitivity in wet, dry and conductive products digital signal processing functions. With engineering, sales and manufacturing all located in our Milwaukee, Wisconsin facility, we are able to quickly respond to our customer's requests to design and build a custom unit without sacrificing lead time or quality. Advanced Detection Systems is constantly striving to improve performance, with many unique features. ProScan™ Max II– Monitors noise attributed to vibration and automatically compensates for the effect, thus enhancing the ProScan™’s performance. State of the art sensitivity in wet, dry and conductive products. The Protector-HD - Rugged, heavy-duty and reliable. 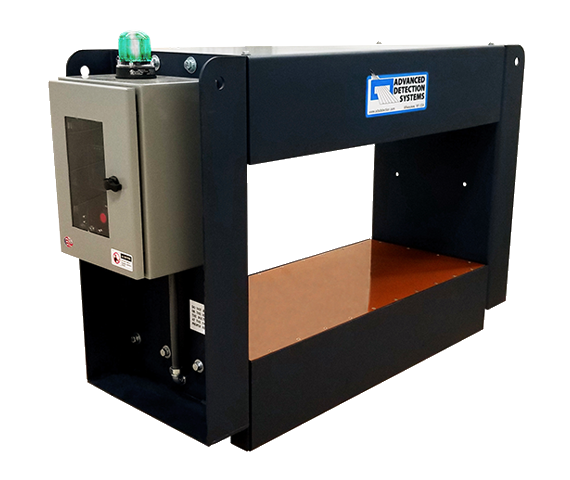 The Protector-HD is a primary-line metal detector specifically designed for the detection of larger metal contaminants ahead of a grinder or shredder. 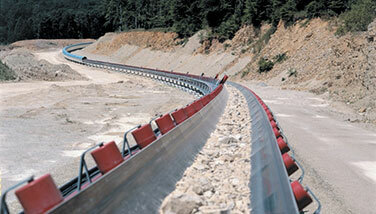 The Protector-HD's rugged all-steel design allows for easy installation on flat-belt and trough-belt stacker conveyors. 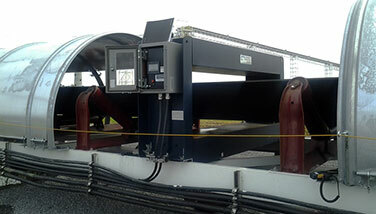 Full PLC integration allows for line shutdown, or local control of the conveyor can be given to the detector. Rugged, heavy-duty steel construction is designed to take a beating and keep on running. You won't have to worry about replacing coils every time they get hit, as they're encased in an armored chassis, protecting the coils and the internal wiring and electronics. Chassis designed to fit into standard sized rails with minimal modifications and the removable side plate means you don't have to cut a belt, or unsplice it, to install. Patented digital technology ensures that the detector will work in any environment. You can tune out the small pieces that won't cause harm and only detect the larger pieces that could damage downstream equipment. Easy-to-use digital operator interface means you can set it and forget it. 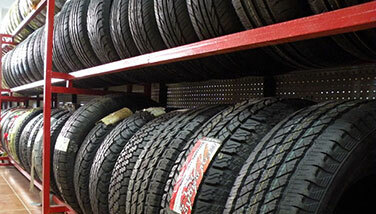 You won't have to worry about nuisance trips unnecessarily stopping your operation. 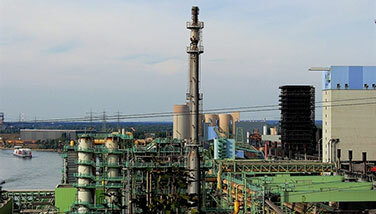 Metal Detection Solutions to Protect your Product and Process Equipment. Metal detectors are not ‘one size fits all’. 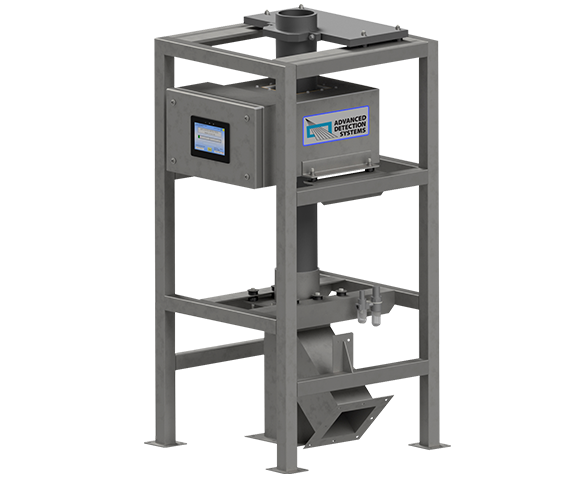 A metal detection system, customized to your specific applications requirements, will ensure accuracy and reliability. A detection system that was not customized to your specific application, can be frustrating to use, yield poor results, and may be difficult to explain during safety inspections. Certified Test Materials - Ferrous, Non-Ferrous, Stainless Steel Wands & Spheres. Advanced Detection Systems offers certified test wands, spheres, and other testing materials in Ferrous, non-Ferrous, and Stainless Steel. Certified test wands are now a critical part of daily HAACP plans and are required for most external audits. 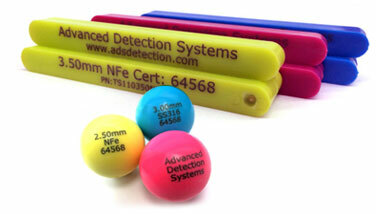 Contact Advanced Detection Systems for more information. Below are some of the industries we serve. Product purity and consumer safety are critical concerns for food manufacturers. 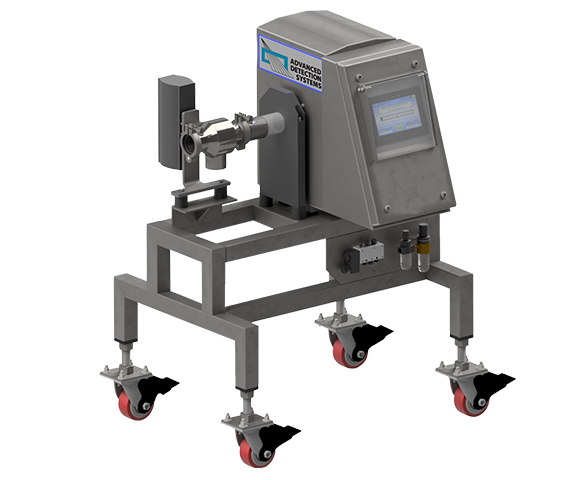 Advanced Detection Systems metal detectors, including our flagship ProScan™ Max-III, are designed to find contaminants before they can reach downstream processing equipment or worse, your customers. Product purity is the key to profitability in many industrial markets. 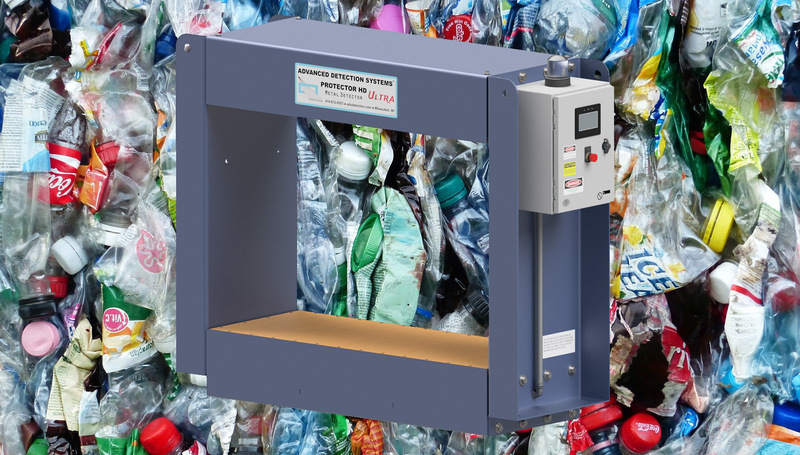 Whether you are reprocessing your own materials or recycling post-industrial or post-consumer products, it is important to produce as clean a stream product as possible. 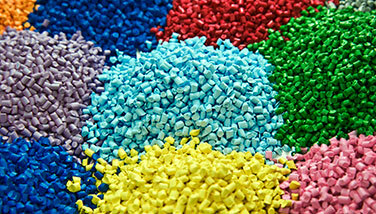 In the plastics industry, the protection of extruders and injection molding machines is paramount. 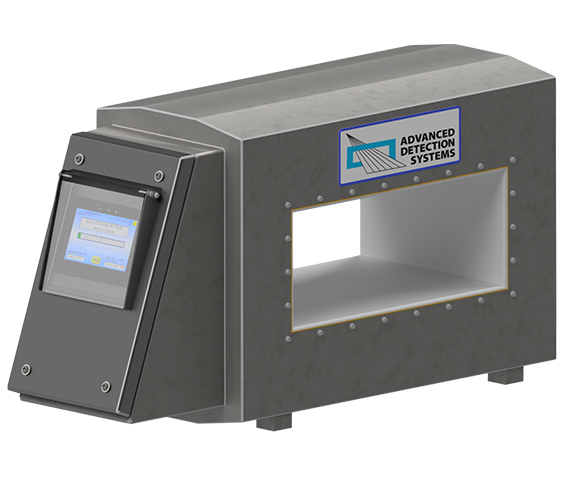 Advanced Detection Systems offers a series of metal detectors specifically designed for the protection of downstream equipment and product purity. In the recycling industry, the protection of extruders and injection molding machines is paramount. 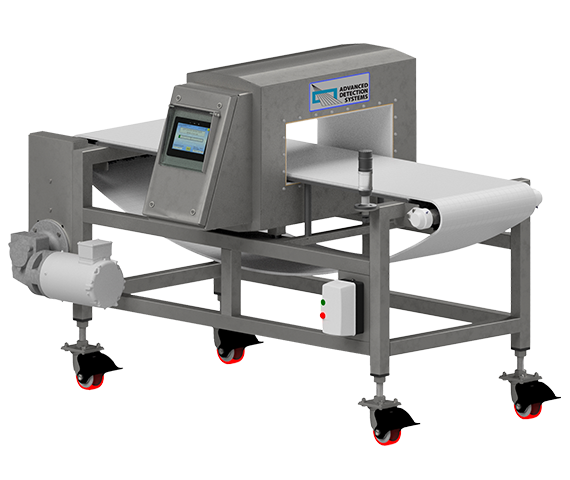 Advanced Detection Systems offers a series of metal detectors specifically designed for the protection of downstream equipment and product purity. The manufacture of modern-day automotive tires is a complex process, and the protection of extruders and colanders is critical not only to the protection of the equipment itself, but ensures that each tire produced passes a strict quality control standard. Metal detection to keep the ethers or esters of cellulose, which can be obtained from the bark, wood or leaves of plants, or from other plant-based material clean of particles during production processes. 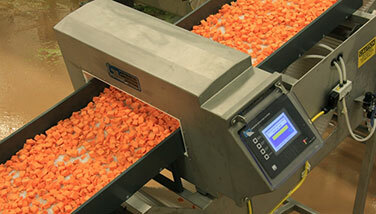 Advanced Detection Systems has more than 30 years of experience in mineral processing and conveying. Whatever type of mine you operate and material you process, coal, iron ore, copper ore, gold or silver, Advanced Detection Systems has a metal detection solution engineered specifically for you. 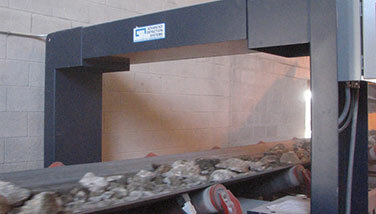 Advanced Detection Systems works with many of the country’s largest stone producers, protecting screens and crushers from damage and potential threats to downstream equipment and maintaining a high degree of product purity at the same time. 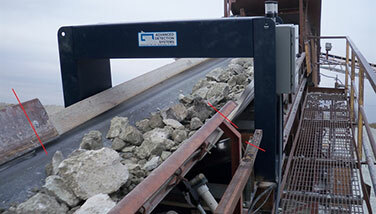 Advanced Detection Systems is actively involved the concrete regrind industry, locating and facilitating the removal of wire mesh, rebar, grate iron, and other structural steel from torn-up roadways, bridges, and ramp structures. 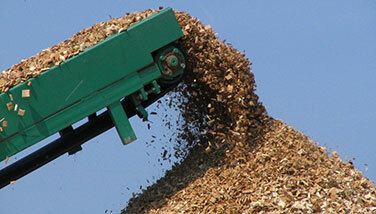 An Advanced Detection Systems metal detector should be the last line of defense before your crusher. Magnets are a great defense but magnets are useless when it comes to stainless steel, high-manganese steel, contaminants too large for them to lift, or contaminants trapped under burden. For more than 30 years, Advanced Detection Systems has been a robust and reliable leader in providing metal detection systems in the food processing and packaging industries as well as aggregate, mining, recycling and other applications. Call us for your specific needs!